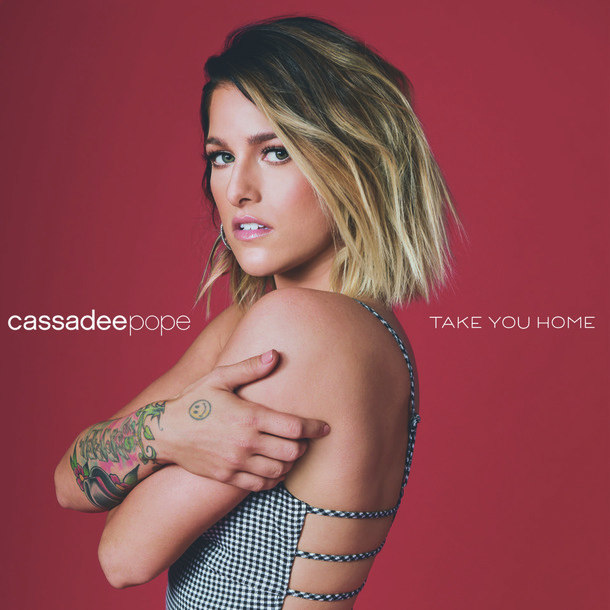 It’s been two years since pop-rock/country artist and The Voice champion Cassadee Pope released a new single, and her return with “Take You Home” is bold, confident and promising. Since 2016’s pop hit “Summer,” Pope had gone through a lot. “I became single for the first time in eight years, I left my record label, and I left my management, along with making some other, smaller changes,” she told The Boot. But, these changes seem to have been greater opportunities for growth and opportunity. Pope’s single “Take You Home” stresses the importance of moving past an initial attraction to something more long-term. “This ain’t the same old story about two hearts hooking up / One and done on a Friday,” she sings in the song. The song is catchy, relatable and inflected with pop-ready guitars as Pope’s voice goes from pop to her familiar country ad-libbing. The song, written by Emily Weisband, Ben Hayslip and former Boys Like Girls member Paul DiGiovanni, whom Pope had previously toured with as frontwoman for the early pop-punk band Hey Monday, is a “reintroduction” to her fans.